I will embroider this adorable design on the front chest of a new Gildan brand heavy weight 50/50 blend sweatshirt. 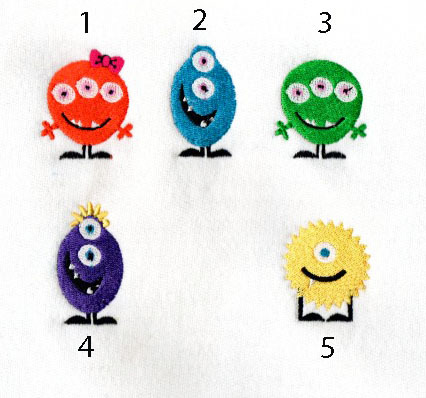 The design as shown measures 8 1/2"H x 8 1/2"W . The max number of monsters/names is 10. The base price includes up to 4 names/monsters. 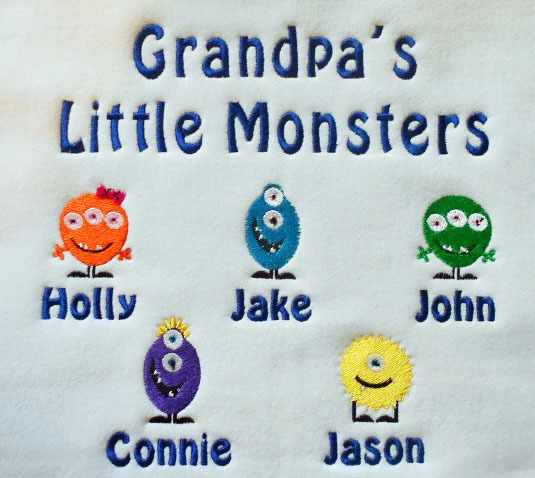 Each additional name/monster is $3.50. All sizes are unisex. You may also request colors of the threads or leave it up to me to coordinate it so that the design will show up well. I have this design in a tee shirt and for Grandma's too!